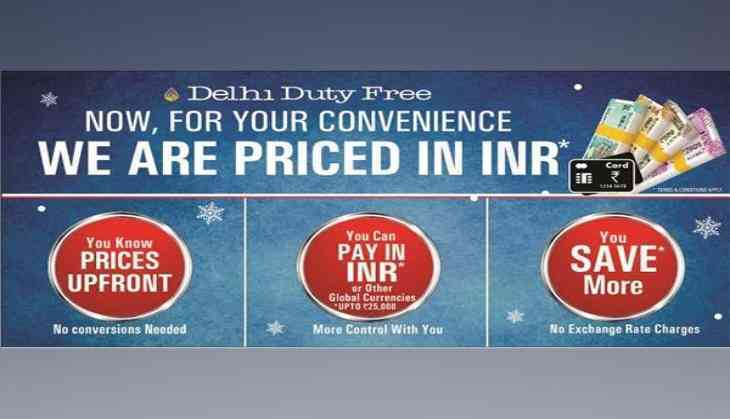 Hailing the directive from Central Board of Customs and Excise (CBEC) for Duty-Free Retailers to display prices in Indian Rupees (INR); India's largest Travel retailer - Delhi Duty-Free is the first retailer to migrate to INR pricing and billing. With this change, all product prices will be displayed in INR and billing will also be in INR. In line with a notification from Reserve Bank of India, the CBEC said passengers will be permitted to purchase goods at duty-free shops in Indian rupees up to Rs. 25,000. Though there have been no changes in duty-free allowance limit which is Rs. 72,000 per passport. This will be significantly beneficial for customers as they will be aware of prices upfront in their home currency, pay INR up to Rs. 25,000 by cash, card or wallets, have the option of paying in other leading global currencies and save on foreign exchange conversion charges. "We have been keen to introduce this for a long time. Although the changes involved significant restructuring of business processes; software and financial reporting, we managed to successfully migrate to the new process within a few days. This is good news for our customers as it brings transparency, simplicity and like other countries, they can pay in home currency and save on exchange rates conversion," said CEO -Delhi Duty-Free, Luke Gorringe. "This will prompt Indian nationals to spend more and support latest payment mechanisms like wallet based payment, e-payments & contactless payments. This will greatly help foreign nationals' as well. They are likely to save significantly on foreign currency exchange to INR for payments in top global currencies due to cheaper exchange rates to money changer at Delhi Duty-free," added Luke. Delhi Duty-Free witnessed record sales and significant sales growth for the previous calendar year. Deals on top sellers in Liquor, Perfume and Confectionery which are best in the region; innovative marketing campaigns and focus on staff training has led to significant growth in business during shop refits. The upgraded shops will be launched in a couple of months and customers can expect many new brands, experiential concepts and a world-class retail experience at Delhi.